Have you heard about vestiphobia (or vestiophobia)? I can safely assume that it is a no, because you are reading this column about fashion. So, vestiphobia is the fear of clothing or being clothed. Honestly, it’s hard to imagine a person who wanders away from clothes! This takes us to an interesting question – how does a person wear clothes if he dislikes them so much? The modern world is very complex and equally complex is the Pandora of modern ailments that plague us. Vestiphobia is one of the many highly questionable modern diseases that people probably call upon themselves. If vestiphobia is an illness, then we need to discuss about what lies at the opposite end of the spectrum- Shopaholism! Shopaholics are people obsessed with buying stuff, even they really don’t need it. Initially, shopping addiction only referred to the uncontrolled compulsion to buy clothes, gadgets, furniture etc. Today, thanks to the internet we can obsess over anything including education, travels, services, advice, advertisements and what not! As scientists say, such activity is caused due to the need for something else or to compensate for the “emptiness inside”. That means shopaholics try to cover their existing problems with new things. This category of people also includes chocoholics, as they fondly call themselves;who consume sweets (chocolates, ice creams etc.) in huge quantities to fend off depression. 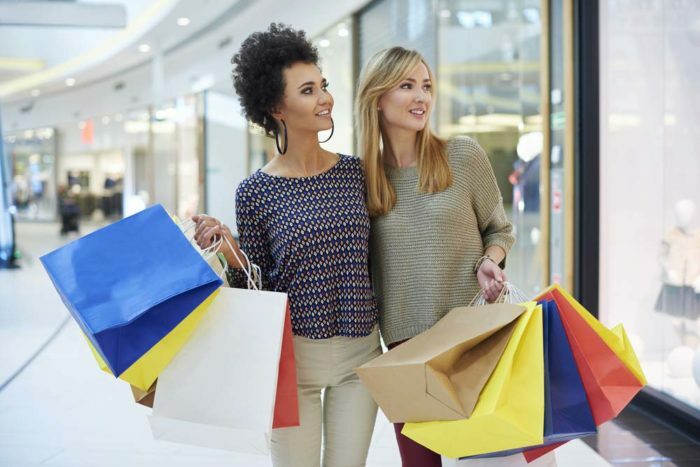 People with abundant financial resources at their disposal, use shopping as a means to keep stress at bay, by exorbitantly indulging in a luxurious lifestyle- from buying expensive jewelry, expensive watches, modern devices to unnecessary tawdry stuff. Heated debates as going on in the intellectual circles whether to consider shopping addiction as a disease or not. According to researchers, it has been found that some people buy items just to make a purchase even if they do not really need it. And then, there are certain kinds of shopaholics who tend to buy peculiar items. I’m sure that everyone can relate to having a certain friend who cannot refrain from buying new shoes or lingerie as they pass by some shop’s window despite having umpteen numbers of the same. SHOPPING- A HOBBY, A STRESS BUSTER OR AN ADDICTION? In our modern day world, shopping is a hobby, a past time for many and often functions as a stress buster. People who are passionate about surfing might find it hard to stop spending money on equipment, training, traveling etc. When an artist creates a masterpiece, he has to buy all the materials required to bring his idea to life. Such shopping is essential and gives them satisfaction because it is part of their hobby or work. An avid reader might not be able to resist the temptation of ordering a newly released book. Such compulsiveness is triggered by the need to know, understand and do something worthwhile. However shopaholism has an entirely different aspect- much of the effort, time and money are wasted. If a person already owns 50 pairs of shoes, why would he/she need more when he/she can wear only one pair of shoes at a time? Shopaholics often claim that they have purchased something as a gift to themselves, that is, to award oneself for a job well done. At this point, we can say that only one good aspect of a shopping addiction is the incentive to earn more. Consequently, it’s a stimulus for someone to pursue bigger dreams. This being said, in most cases shopaholics end up neck deep in debt. Think of the situations in sitcoms and movies where well-wishers advice young women to get rid of their credit cards to overcome the urge of shopping incessantly. There is another popular excuse that shopaholics resort to, that they need something to match with something else. Such people are very particular that every outfit requires a certain kind of shoes, accessories or even the minutest of details. It takes endless purchases to create the perfect attire for the particular event. In order to overcome shopping addiction, it is crucial to find a balance between what you really need and don’t need. With one half of the world suffering from extreme poverty and hunger, shopping addiction is not really a virtue to possess.